August 24 will go down in history as the day that India’s Supreme Court ruled that privacy is a fundamental right for its citizens. If you care to read it, here’s the 547-page judgment in its entirety (mirrors to the PDF on Google Drive and Dropbox). That’s a huge win for the country’s people, particularly in the face of the ever-widening net of Aadhaar, the nationwide biometric database meant to document every citizen with the primary objective of ensuring they can access government services. As I mentioned in previous stories, Aadhaar is problematic in its current implementation; the government is overconfident about how secure this system is (while failing to acknowledge that it’s one of the largest single targets for hackers in history), and it’s unnecessarily being made mandatory for essential private services. 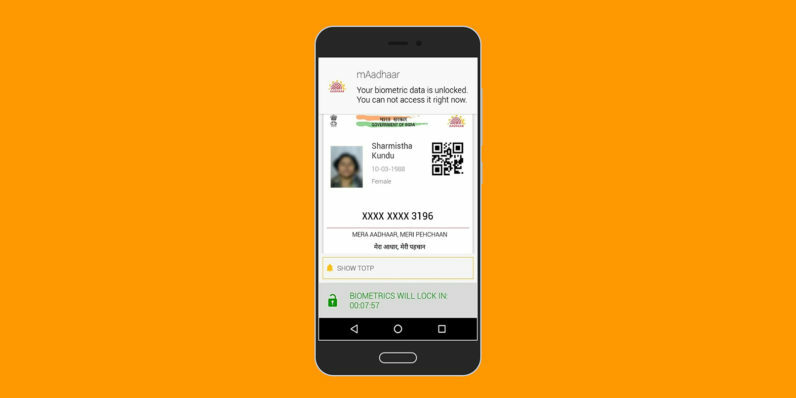 By linking your accounts to a single ID, Aadhaar creates a web of data points that could be used to profile or track people. The fact that all this information exists poses a threat to citizens – it could be the current or next government, or even malicious actors. As Medianama pointed out, what makes matters worse is that the Aadhaar Act explicitly denies citizens the right to go to court to seek damages for the release of their personal data. Only the Unique Identification Authority of India (UIDAI) – the agency in charge of Aadhaar – can sue the government in such cases. So much for protecting your privacy. These are some of the issues with Aadhaar that need to be addressed as India closes in on its goal of IDing every citizen in the country. The privacy ruling isn’t a silver bullet that will take down the Aadhaar system, but it could help take discourse and legal cases forward with regards to ensuring that people have control over what sort of data they share and how it’s used. Godspeed, India.